Director: Richard Massingham et al. Since 1946 the COI (Central Office of Information) has brought us public information films on health, safety and welfare issues — from the danger of accepting sweets from strangers to how to survive a nuclear explosion. 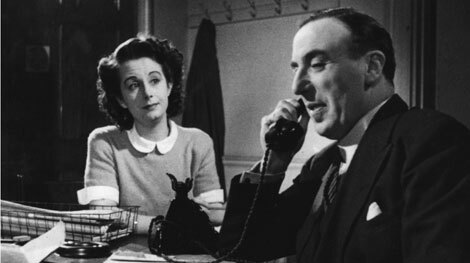 This special programme brings together some rarely seen highlights from the COI’s founding years, the late 1940s, drawn from the collections of the BFI National Archive. These films, screened to huge cinema audiences, aimed to put a war-weary nation back on its feet. Some remain surprisingly topical, such as Worth the Risk? (a sardonic exposé of dangerous drivers, cutting and swerving through the streets of post-war London) or Your Children’s Meals (practical guidance for the parents of fussy eaters). Others reflect the particular preoccupations of those post-war years: The People at No. 19 is a mini noir thriller on the subject of venereal disease, while Richard Massingham’s Pool of Contentment — on how to get the best out of the office typing pool — offers a comic glimpse of the 1940s workplace. Combining fictional and documentary approaches, these films provide an intriguing portrait of everyday life in 1940s’ Britain, recorded in atmospheric detail.